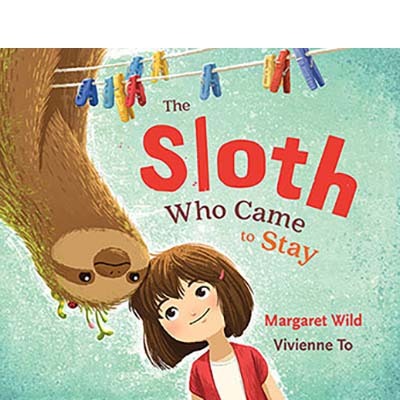 The Sloth Who Came to Stay is the latest book by one of Australia’s finest picture book writers, Margaret Wild. Much lighter than Wild’s previous books, this is the story of Amy’s family who live life at a cracking pace and the slow, but gorgeous, sloth she brings home to visit. The sloth slowly changes life in Amy’s home, helping the family to enjoy the little moments. This book is a perfect reminder to live more mindfully. And that sloth with the bugs and grass on his body, is gorgeous!